Thirty credits (points) are required for the degree, including six mandatory courses (3 points each) and 12 points of elective courses. The elective courses can consist in 4 elective courses of 3 points, or any number of elective courses that add up to a total of at least 12 points. All these courses must be taken for a letter grade. Courses taken for an R or Pass/Fail credit do not count toward the degree. For information about the grading system, see the GSAS webpage Grading System. Full-time students must take three mandatory courses and at least 3 points of electives that count towards the degree in each of the two first semesters. The 3 points of electives may consist of one elective of 3 points or several electives that add up to 3 points. To graduate after two semesters, students need to take 6 points of electives (typically 2 courses of 3 points) per semester, in addition to the core courses. International students on F-1 or J-1 visas, in particular, need to be mindful of this. Each semester, each student must get approval of his/her choice of courses from the director of the program. Once a student has fulfilled the degree requirements, he or she can no longer register or take further courses. International students on F-1 or J-1 visas must adjust their status once they have fulfilled the degree requirements. The six mandatory courses are as follows. Full-time students must take all the mandatory courses in the semesters indicated. International students on F-1 or J-1 visas, in particular, need to be mindful of this. Occasionally, one or more of the Fall mandatory courses is also offered in the Spring, or vice versa. There can be no guarantee of this, however. Students cannot rely on it to fulfill their course requirements. Even if the courses are listed in the Directory of Classes, they may be cancelled. Both full-time and part time students are advised to take STAT G5264 (formerly G6501) Stochastic Processes – Applications before STAT G5265 (formerly G6505) Stochastic Methods in Finance. Each student must get approval for his or her choice of electives from an academic advisor (usually the director of the program). Each course to count towards the degree must be of level 4000 or higher and taken for a letter grade. The set of generally approved electives includes courses from the Departments of Mathematics, Statistics, Computer Science, and Economics, the Department of Industrial Engineering and Operations Research (IEOR), the Graduate School of Business (GSB), and the School of International and Public Affairs (SIPA). The courses have to be relevant for the MAFN degree. As mentioned, they have to be at level 4000 or higher. Research seminars cannot count as electives. In some cases, to take a course, the student needs the approval of the school and/or the instructor offering the course. There is usually a limit on the number of students that can enroll in a given elective course in a given semester. 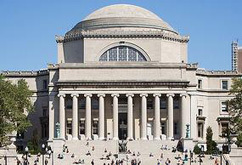 There are separate processes for cross registration into the Graduate School of Business (GSB) and the School of International and Public Affairs (SIPA). Students taking electives in another school, such as GSB or SIPA, must abide by that school’s academic calendar. There are often some variations between registration times, holiday schedules, adding/dropping classes, etc. from the GSAS calendar. In exceptional cases, a student may be released from the requirement to take a particular mandatory course. The student should first get permission from one of the instructors in the mandatory course and then from the director of the program. The student has to take a substitute three credit course, to be approved by the director. MATH W5010 (formerly W4071) Introduction to the Mathematics of Finance: The instructor sets the policy. STAT G5264 (formerly G6501) Stochastic Processes – Applications, STAT G5263 (formerly G6503) Statistical Inference / Time-Series Modeling, STAT G5265 (formerly G6505) Stochastic Methods in Finance, Math G6071 Numerical Methods: Waivers have been given in a few cases where the student had taken PhD level courses in the subject matter before joining the MAFN program. If a student turns out not to have sufficient mathematical preparation for one of the core courses, that student should consult with the director without delay. Part-time students must complete the program within four years (eight semesters). Full-time students complete the program in two or three semesters. Full-time students must take three mandatory courses and at least three credits of elective courses that count towards the degree in each of the two first semesters. Students are expected to maintain a cumulative Grade Point Average (GPA) of B (3.0) or better to remain in good academic standing. The calculation of GPA is explained on this GPA website: Grade Point Average (Registrar). The official cumulative GPA used for this purpose is derived from all courses in which you have registered and received a grade. In particular, even undergraduate courses and other courses that do not count towards the degree requirements are included in the official GPA. If your GPA falls below 3.0, you will normally receive a warning from the program director. If you do not subsequently succeed in returning to good standing, it is possible that you will not be allowed to register again and will be asked to leave the program. To retake the course, you must appeal to the program director, in principle no later than 10 days after the grade has been posted on SSOL. You must then contact the GSAS Office of Student Affairs and request that the course be added to your registration the next time it is offered. The grades for both of the courses will be posted on your transcript; but only the second grade will be included in the official GPA. Students must comply with University and Graduate School of Arts and Sciences (GSAS) rules and policies in addition to the departmental requirements. The following calls attention to a few of these rules and policies. Two Residence Units are required for the degree. It is theoretically possible to complete the course and point requirements as a part-time student but to accumulate less than 2 residence units. In this case students may be able to change residence units retroactively and pay the difference so that their total registration is for 2 residence units. It is theoretically possible to complete the necessary 2 residence units but not complete the 10 required courses. In this case an “extended residence unit” must be taken until the course requirement is fulfilled thereby substantially increasing the tuition costs. Students are advised to carefully plan out their program and pay specific attention to details concerning residence units in relation to course requirements. The GSAS allows part-time students to take up to four years to complete the degree. All students, full-time and part-time, are required to register in each semester until all degree requirements have been completed or until the four-year time-to-degree limit has been reached. See Continuous Registration and Satisfactory Academic Progess. A leave of absence allows a student to be exempt from the Continuous Registration requirement for a period of time. For rules and procedures regarding leaves of absence, see Leaves of Absence. A student who leaves the University without having obtained a Leave of Absence must apply for Reinstatement in order to rejoin the program. You must submit an Application for Degree if you plan to graduate. See Application for Degree or Certificate. Go there to read about the procedure and the deadlines. The deadlines are earlier than you might think, so do not delay.